The wedding season is round the corner and every bride or groom want to be a part of an unforgettable bachelorette party before their marriage. Be it the party of a lifetime or just a relaxing getaway, there’s nothing better than a trip with your close friends or loved ones. If you need an ultimate bachelorette vacation, plan your trip and party in one of these famous destinations. Las Vegas is one of the ultimate bachelorette vacation spot. If the bride or groom is an avid music lover, they can go to the lounge atop Mandalay Bay where they can be the DJ for the night! There are lots of places to party in the Sin City. TAO Las Vegas at The Venetian, Hakkasan at MGM Grand, 1 OAK at The Mirage to name a few! Las Vegas is known as world of glamour, fun and nights that go beyond drinking and dancing. Koh Phangan is the place to head a good bachelorette vacation with not too heavy on the pocket. It’s known for its nightlife and larger than life ‘full moon parties’. The parties on this beautiful tropical island are a heady cocktail of music and dance. These parties are full of fun and unforgettable. However, there is a lot more to explore here! Singapore is one of Asia’s prime destinations for bachelorette vacations. Safe, buzzing with nightlife and perfect place for shopaholics. Nightlife of Singapore is amazing and options abound with regard to what do you with your crew at day or night. Get set for your vacations night of fun with unlimited shots, drinks, music and dance. For foodies in Singapore, there is lots of best cuisines from around the world. If you are a shopaholics, don’t forget to go for a shopping spree in Orchard Road. You will definitely love it! Turkey is a cultural destination which has charmed tourists for years. It is one of the best vacation places in Istanbul, an upscale shopping and residential district packed with trendy boutiques and stylish bars. Start your trip with the Blue Mosque and make your way to the Grand Bazaar to shop for trinkets, blue eye pendants, Mosaic glass lamps, ceramics and more. One more unforgettable Turkish experience for the ladies is a visit to the hammam (Turkish bath). While you’re in Turkey, don’t forget to try Apple tea and baklava (the local sweet)! Macau is known as the ‘Vegas of the East’ and it is the best option if USA is too costly for your bachelorette party. In Macau, the parties are never ending and casinos are there in almost every hotel. Come and try your luck at the roulette at The Venetian. If you want to unwind, enjoy the luxurious treatments in the Four Seasons Spa and Six Senses Spa. Our list ends here but the fun has just begun! 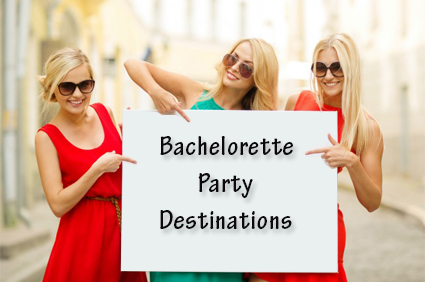 Choose one of the destination for your bachelorette party and share your experience with us after your trip. Black Friday is unofficially or officially start of holiday shopping season. It comes the day after Thanksgiving. On Black Friday almost all stores come out with big sales with early morning to attract consumers to their stores. People stand in queue hours before store is opened, to grab the bargain of the year. For bargain hunters, if there is a biggest festival in a year, that would be, no doubt, the Black Friday. Here we share top 6 things to know ahead of shopping on Black Friday. Dress Strategically: During Black Friday the outer weather is cold and warm in stores, so wear sneakers and dress in layers in order to stay comfortable. Don’t wear that kind of dress who pain to take off and carry around the store. Pack a Distraction: Long queue in front of shops are very normal on Black Friday and it’s unavoidable. So we suggests pack something to do & eat while you wait and lowering the irritability factor. Take Your Own Shopping Bags: Many stores are going bag free and they want you to buy one of their shopping bags. It is best to take your own shopping bags and you can put over your shoulder like a tote bag. If you have plan to go in a bunch of stores and then it is best to carry bunch of tiny little bags, you can condense everything into one so that your hands are free. Browse Ahead of Black Friday: It is best to make a list what you want to buy ahead of Black Friday. Before Black Friday browse the stores or take a small trip of all store to know the sale and discount offers. It will save your time and money on Black Friday. 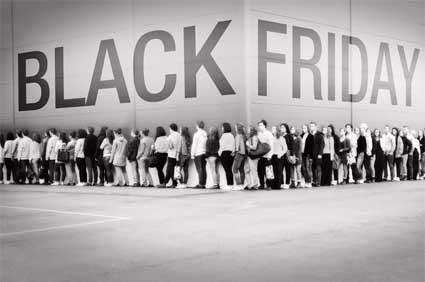 Avoid the Hotspots: On Black Friday try to avoid big name shops, because they are packed with crowds. If you need to hit big-name shops, head to their quieter locations and make your plan before Black Friday. Or, hey! Skip Black Friday! : If you miss something in your Black Friday shopping, shop on Saturday or Sunday morning instead. Between Black Friday to Cyber Monday lots of shopkeepers still offer huge discount on their products.